5050 Raffle – Why you should try it? A 5050 raffle is a great raffle format option to consider, especially if you are finding it difficult to source raffle prizes. We’ve recently conducted a few 5050 raffles with great success so I wanted to share our case studies with you. Firstly I’ll outline the structure of a 5050 raffle, then we’ll take a look at some recent case studies. For those of you that are saying 5050 what? A 5050 raffle is where there is only one winner who, at the conclusion of the raffle, wins 50% of the proceeds generated by the raffle in cash. You may have seen one conducted at a football game or event where the tickets are sold and the raffle is drawn on the same day. Super easy to plan and quick to launch. No prize sourcing required which is labour intensive and can be time consuming which delays the launch of your raffle. You can’t get a more generic prize than cash which would appeal to the greatest number of potential ticket buyers. I can only think of one – you are giving away 50% of proceeds generated, which is great for the winner but not so good for the charity. With our 5050 raffle style it is conducted over a longer duration, allowing for maximum sales. Normal raffle regulations for each Australian state will apply and a permit may be required. A guaranteed minimum prize value will be required as this is the factor which determines permit requirements across many Australian states. We suggest structuring your raffle to eliminate the need for a permit and RaffleLink can certainly provide you further advice in this area. NOTE: Please be aware that in Victoria cash prizes are prohibited so a 50/50 raffle is not possible. Terms and conditions are really important for a 5050 raffle as the ticket buyer needs to be fully aware of the dynamic nature of the prize value and how the raffle is conducted. Youth Off The Streets conducted a 5050 raffle to assist with the funding of their new Mobile Youth Centre. Their cash prize was a guaranteed minimum fixed amount of $2,000 to a maximum of $30,000. By capping their prize value at $30,000 a raffle permit was not required. This was done by restricting the number of tickets for sales. So the raffle winner would receive a minimum fixed cash amount of $2,000 or 50% of the gross ticket sales (to a maximum allowable value of $30,000). 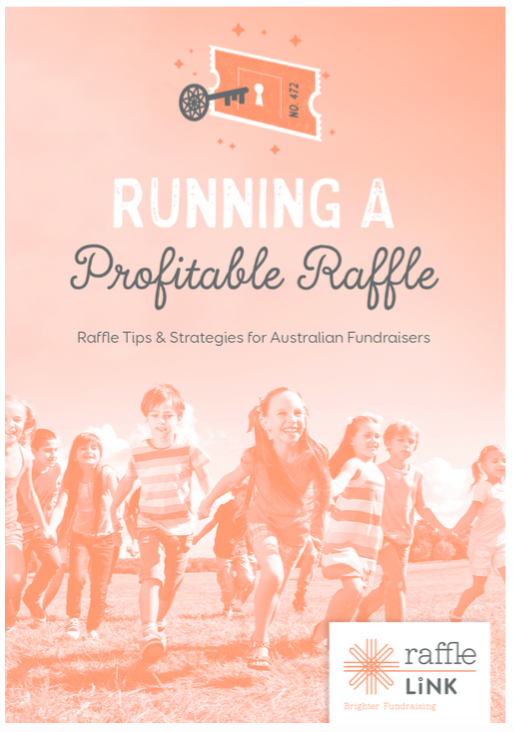 Providing a daily update of funds raised on their website was a clever incentive for people to join the raffle. Youth Off The Streets raised $9020 with their online raffle in just one month with no up front prize investment and minimal raffle management. Kathy & Michael from Ricky Richards (an industrial textiles company) made a commitment to walk The Great Wall of China in September to raise awareness and funds for the Melanoma Institute of Australia (MIA). As part of their fundraising efforts they decided to conduct a 5050 raffle with fantastic odds for the winner. With just 200 tickets at $100 each, the winner was guaranteed to pocket $10,000. This equated to 50% of the potential ticket sales and MIA was set to receive the remainder of the raffle proceeds generated. In 10 weeks Kathy and Michael’s raffle closed having sold all their tickets and generating $20,000. If you’d like to jump into a 5050 raffle, please get in touch and we can discuss your specific requirements and help you get started.